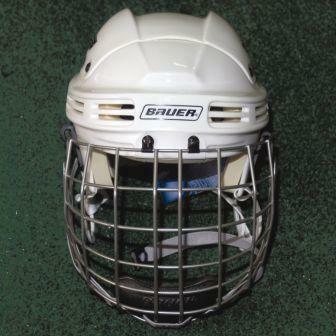 Lightweight polyethylene shell with adjustable back plate for custom fit. 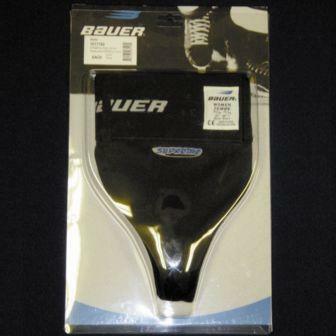 Bauer helmet in hard plastic. Integrated ear coverage for extra protection. 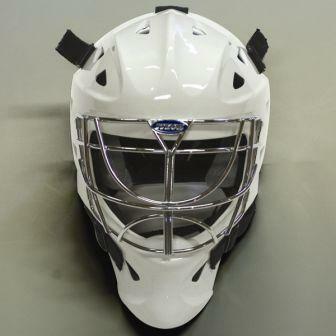 Wire face mask with foam chin cup. Lightweight, large head enables manueuverability. 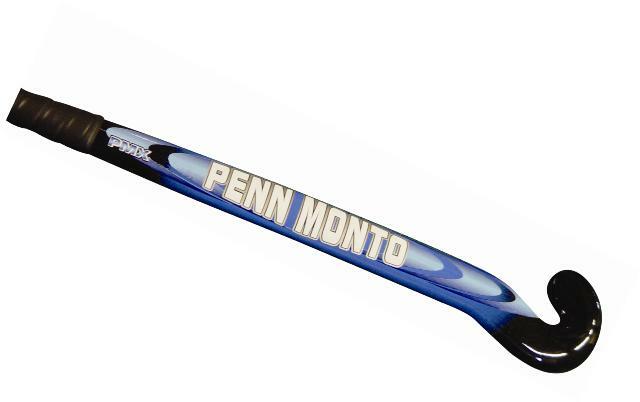 The composite materials provide strength and stiffness. 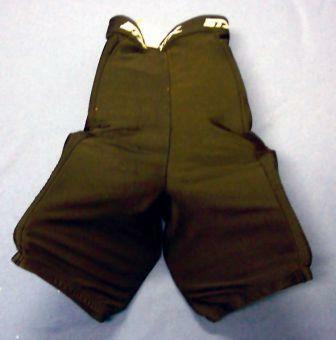 Lycra spandex shell for ventilation and custom fit. 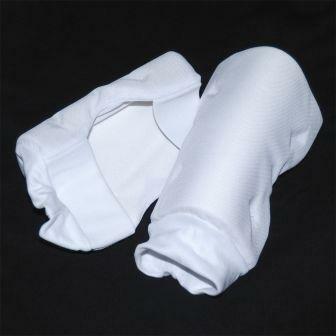 High density HD-80 foam provides light-weight lower body protection. 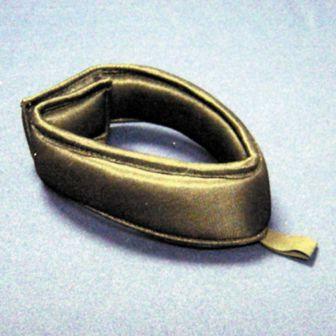 Flexible protection with 1/2" high density foam. Polyethylene foundation foam covered with nylon. 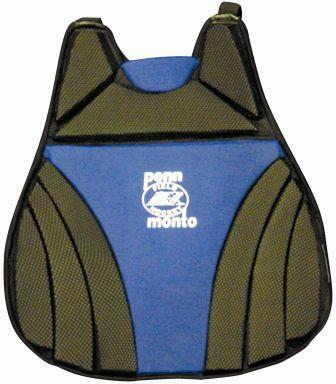 Collar with upper chest protector. 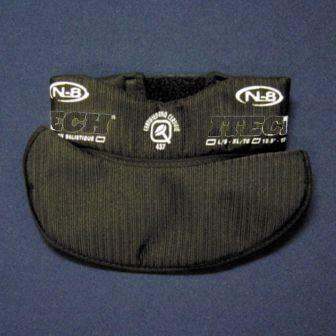 Comfortably fits neck and chin area; velcro closure. built into this high density, lightweight foam. One-piece design allows for free movement and quick suit-up.